These bestselling Ready For Battle Bracers are a set of armour pieces designed to protect the forearm against weapons and bowstrings. 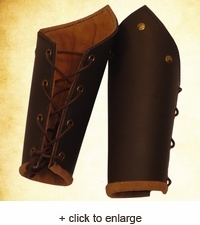 Made from a single piece of chrome-tanned leather and stitched to improve the structural stability and to prevent it from deforming when wet or worn, these bracers are an affordable solution to your costuming needs. 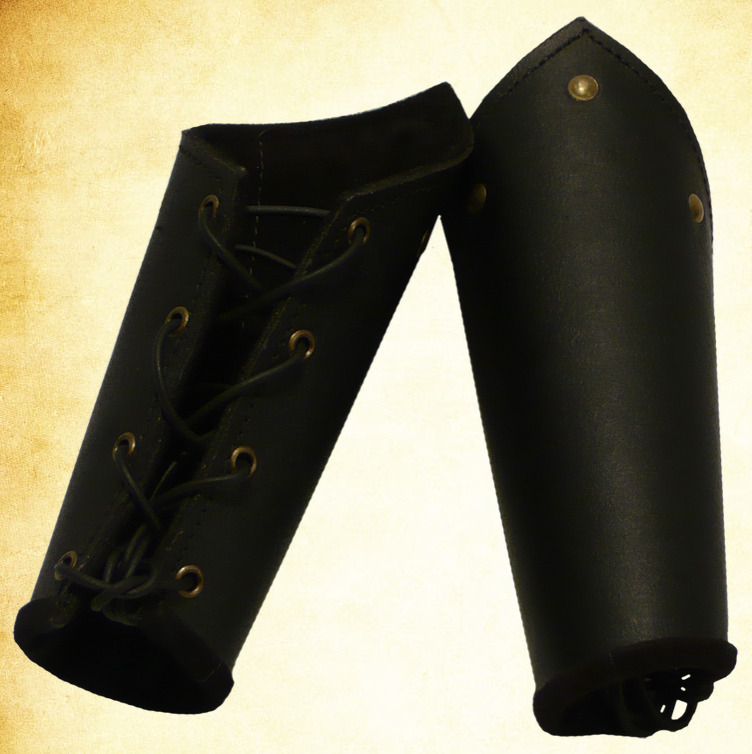 Secure the bracers to the arms by lacing its split-leather cord tight through its rows of eyelets. 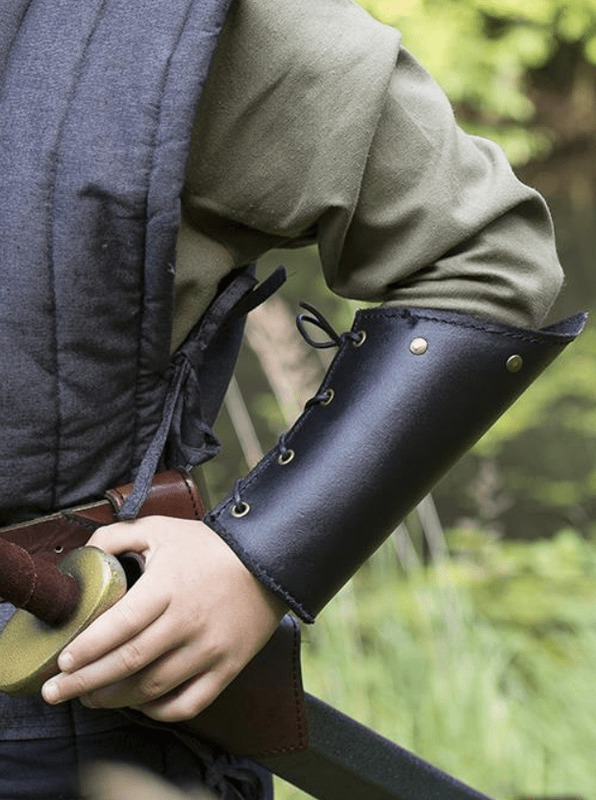 The Ready For Battle Bracers are a good starting point for a roleplaying career, as they are fully compatible with all leather and metal armours. 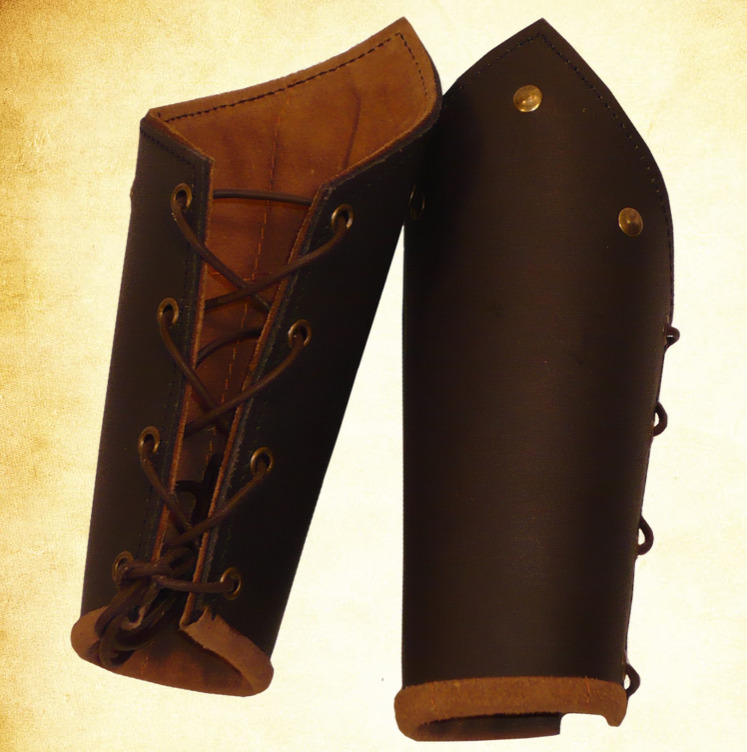 The style is simple, allowing the bracers to be used with almost any character or setting.